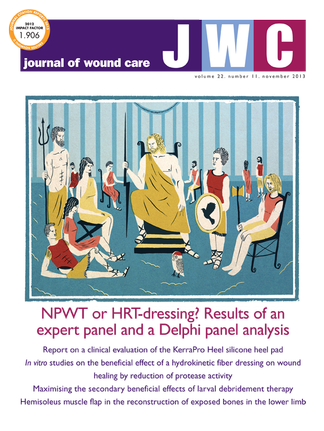 Journal of Wound Care (JWC) provides the latest evidence-based information and best practice procedures. Keep up-to-date on all aspects of wound care, including the prevention and treatment of wounds and associated skin conditions. All articles are peer-reviewed by an expert panel of advisors and reviewers, and include the latest state-of the-art research and clinical practice articles. JWC is indexed on Medline, Scopus, CINAHL and the Thomson Reuters' Science Citation Index-Expanded and Current Contents/Clinical Medicine. Let JWC help you make the right decisions for the patients in your care. Be the first person to tell us what you think about Journal of Wound Care and you'll save £2.50 on your next purchase!